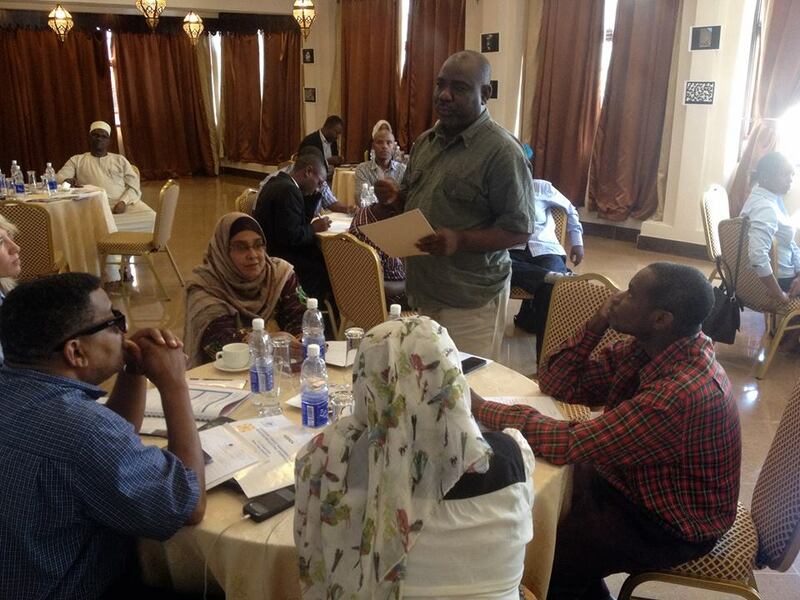 ECES carried out a Leadership and Conflict Management for Electoral Stakeholder (LEAD) training in Zanzibar, Stone Town. The training was part of an inception mission that took place between 2 - 15 June 2015 to fine-tune an EU funded Project that will be implemented by ECES during 12 months, covering the general elections in October 2015. The opening day of the workshop, meant not only to train local partners in conflict management, but also establish a permanent project working group in a true collaborative fashion, was attended by the EU Delegation in Dar es Salaam via Ms. Luana Reale, Deputy Head of Mission and Head of Political, Information and Press section as well as Anna-Maria Tammi, who joined the Delegation last year as a JPO. 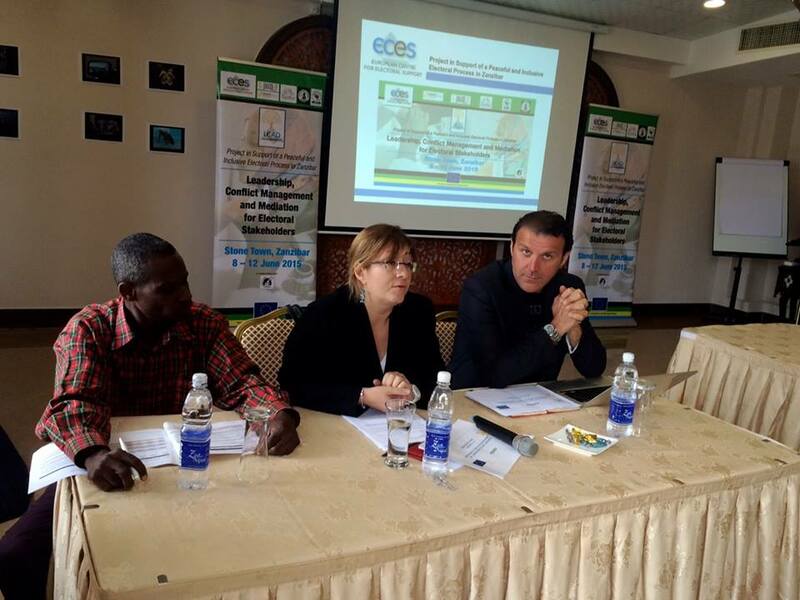 The misssion members and thus workshop facilitators, consisted of ECES' Executive Director, Fabio Bargiacchi, Senior Electoral Advisor and Project Coordinator Anne-Sofie Holm Gerhard and Victoria Florinder, Election Conflict Management Advisor. The new project will foremost address tendencies of civic unrest both before and after the elections and include both those who could incite violence and those who could help prevent and mitigate conflict. Political and community leaders, as well as key administrators, including representatives of the Zanzibar Electoral Commission (ZEC), will be supported to develop conflict management tools. Training on conflict management and mediation will also be provided to community and faith-based organisations, opening up more space for dialogue and strengthen inter-party and intra-community collaboration against violence including the facilitation of much needed intra-Muslim dialogue incentives. Youth and women's organisations will be trained into becoming effective carriers of peace messages and specifically undertaken to increase public awareness on election related violence. The project will be implemented by a consortium of local non-state actors led by the ECES, namely Zanzibar Interfaith Center (ZANZEC), Global Network of Religions for Children (GNRC), Association of Non-Governmental Organisations in Zanzibar (ANGOZA), Tanzania Media Women Association (TAMWA) Zanzibar Office and The Mwalimu Nyerere Foundation.